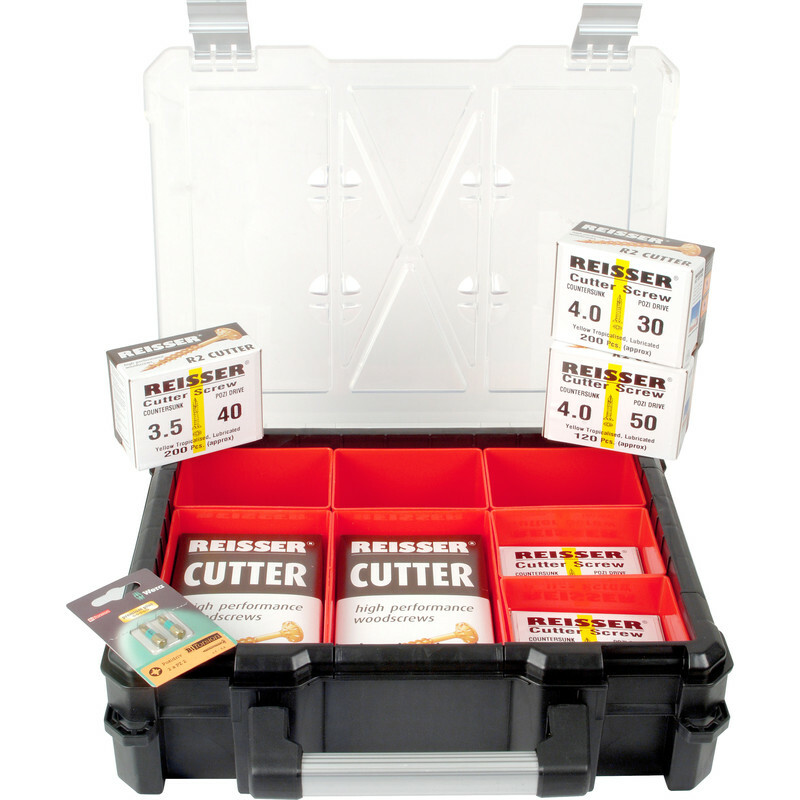 Reisser Cutter Pozi Screw 7 Compartment Chunky Case (1220 Piece) is rated 5.0 out of 5 by 7. Rated 5 out of 5 by Goaty from Quality screws, good set Reissers are easy to use, bite and grip well. This set was reasonably good value with a good range of sizes. If you're a pro there are bigger better-value sets but for a DIYer this is ideal. Rated 5 out of 5 by AmosandDuarte from Great multi screw box Great screws and come with a good case! Rated 5 out of 5 by Brenda from Well presented, arrived on time. Well made, no camming out.